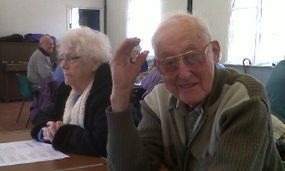 One of our aims is to give our members the opportunity to increase their physical activity. We have a range of chair based exercise sessions on offer including Pilates and balloon table tennis. At FISH we aim to support users with long term conditions in order to maintain their health and independence through targeted activities. 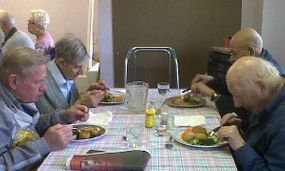 Friends in St Helier serves freshly cooked lunches each day including fresh meat, vegetables and a dessert. We boast a 5 star rating in all of our kitchens thanks to our dedicated chef, Andy Foot. All surveys (Harvard Medical Centre) show that loneliness leads to depression which leads to poor diet and in turn, can lead to Dementia. Friends in St Helier are on a mission to prevent loneliness, isolation and to keep people independent and living in their own homes.